Pete’s Dragon Photos, News, and Videos | Just Jared Jr.
Auli’i Cravalho wears a pretty flower in her hair for the premiere of Pete’s Dragon held at the El Capitan Theatre on Monday (August 8) in Hollywood. The Hawaii-born actress stars in the upcoming animated flick Moana. Moana is about an adventurous teenager who sails out on a daring mission to save her people. During her journey, Moana (Cravalho) meets the once-mighty demigod Maui (Johnson), who guides her in her quest to become a master wayfinder. Make sure to see the movie when it sails into theaters on November 23! 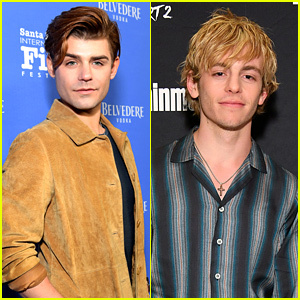 Forever in Your Mind & More Disney Stars Attend 'Pete's Dragon' Premiere! 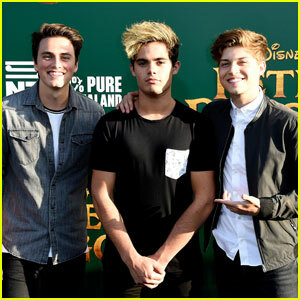 Liam Attridge, Emery Kelly, and Ricky Garcia of Forever In Your Mind get together for a group photo at the premiere of Pete’s Dragon held at the El Capitan Theatre on Monday night (August 8) in Hollywood. The guys were joined on the carpet by Ricky‘s Best Friends Whenever co-stars Landry Bender, Gus Kamp, and Matthew and Benjamin Royer. Stuck in the Middle stars Jenna Ortega and Isaak Presley, Dr. Ken‘s Albert Tsai, Dance Moms star Chloe Lukasiak, and Awkward‘s Jillian Rose Reed were also in attendance. 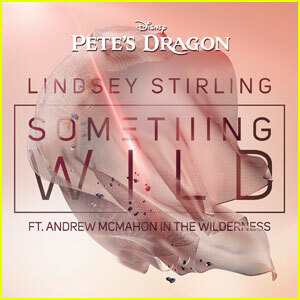 Listen to the Lead Single 'Something Wild' From Pete's Dragon! 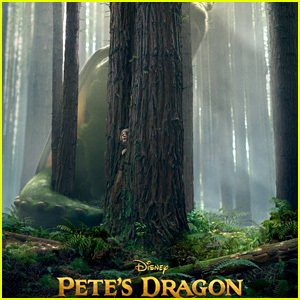 JJJ can’t stop listening to the song “Something Wild” from the upcoming Disney flick Pete’s Dragon! Acclaimed electronic violinist Lindsey Stirling teamed up with Andrew McMahon in the Wilderness for the first single from her third studio album Brave Enough, out August 19. 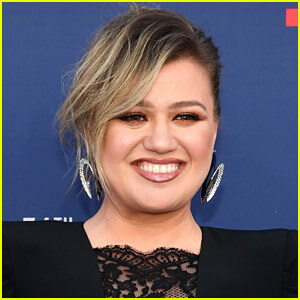 Of course, it’s also the lead single for Pete’s Dragon, which follows an orphaned boy named Pete and his best friend Elliot, who just so happens to be a dragon. 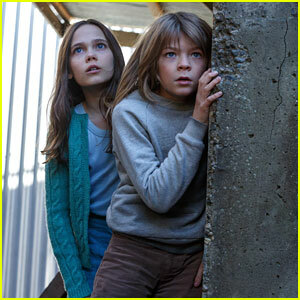 Oakes Fegley, Oona Laurence, Bryce Dallas Howard, Wes Bentley, Karl Urban, and Robert Redford star in the film. See it in theaters on August 12! Disney Delivers Three 'Pete's Dragon' Clips - Watch Here! Pete (Oakes Fegley) sneaks around with Natalie (Oona Laurence) in this still from Disney’s upcoming Pete’s Dragon. Based on the classic tale, Pete’s Dragon centers on an orphaned boy named Pete and his best friend Elliot, who just so happens to be a dragon. 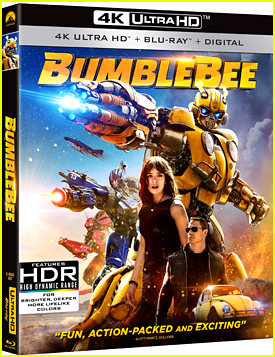 Bryce Dallas Howard, Wes Bentley, Karl Urban, and Robert Redford also star in the film, which hits theaters on August 12th. 'Pete's Dragon' Gets a Brand New Trailer - Watch Here! 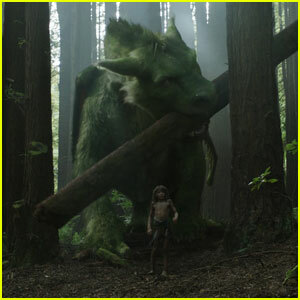 Check out the brand new trailer for the upcoming live action film Pete’s Dragon! 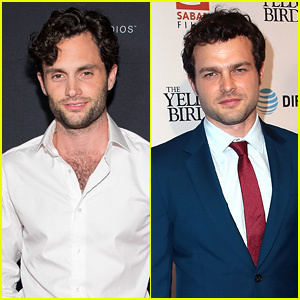 The film is the adventure of an orphaned boy named Pete and his best friend Elliot, who just so happens to be a dragon. It stars Bryce Dallas Howard, Oakes Fegley, Wes Bentley, Karl Urban, Oona Laurence, Isiah Whitlock, Jr., and Robert Redford. Mark your calendars – Peter’s Dragon opens on August 12! We can’t wait to see it! WHAT DO YOU THINK of the new Pete’s Dragon trailer? First 'Pete's Dragon' Trailer Revealed - Watch Now! The very first trailer for Disney’s upcoming movie Pete’s Dragon has arrived! The film stars Oakes Fegley in the title role as Pete in the remake of the classic film. The movie details the adventure of an orphaned boy named Pete and his best friend Elliott, who just so happens to be a dragon. Bryce Dallas Howard, Wes Bentley, Karl Urban, Robert Redford, Oona Laurence, and more star in the highly anticipated movie, hitting theaters on August 12.